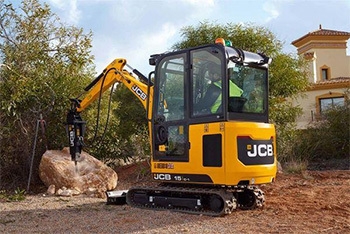 An Australian demolition company that was forced to replace his old excavator when it was firebombed by vandals with a new JCB JS200LC, 20 tonne heavy tracked has noticed the added benefit of a significant reduction in his fuel costs of up to $400 a week. The JCB JS200LC was designed to provide exceptional efficiency, productivity, strength, safety and comfort and also be easy to maintain. All JCB machines are manufactured to a very high standard and use the best components including the rubber excavator tracks, Kawasaki pumps and Kayaba main control valves making them super reliable. Heavy equipment trends over the past decade reveal no bigger success than that of compact track loaders. They are durable, versatile and cost-effective loaders and have continued to reign in the compact equipment industry because of their power and ability to work in all seasons. The Association of Equipment Manufacturers (AEM) shows that compact track loader sales have grown by roughly 20% in the agriculture market from 2015-2017. Powerful pushing, digging and lifting performance; exceptional traction; minimal ground disturbance; increased flotation; and attachment versatility are just a few of the features and benefits that make compact track loaders one of the most popular machines in the agriculture industry. To replace your rubber or excavator tracks, visit GTW. The new models have improved fuel consumption of up to 25% with reduced maintenance costs of around 15%, for more information on Excavator track replacement call GTW Australia. JCB used the Conexpo trade show to announce a new research and development product, called JCB teleskid, a JCB chief officer stated that “The JCB Teleskid can do the work of four machines – a telescopic handler, masted forklift, compact loader and a skid steer, all in one easily-serviced machine. The telescopic boom will allow operators to load trucks without a ramp, reach over kerbing and dig below ground, all with clear visibility of the attachment.” The new machine can extend 2.4m forwards, which is over 50% more than similar machines. The vehicle boasts the new low emission 74hp/55kW JCB Ecomax engine, which complies with both the strict European and American emission standards.